The beginning of the Genie brand is related to 1923, and it started under Alliance Manufacturing Company name. During the World War II, this brand made a lot of different components for war machines and etc. In 1954, they revealed an all-new garage door opener, called Genie. Ever since then, consumers have been able to purchase one of the most appealing garage door openers ever made. In 1958, this brand introduced a new screw-drive garage door opener, paired with a split-rail system. They became very popular and desirable and we were able to see this trend staying popular in the 70s as well. In 1994, Genie company was acquired by Overhead Door Corporation, which made them even more reliable and popular brand in the industry. Today, Genie garage door openers are well-known and appreciated by all users. They are reliable, come with the latest features and they are a great value for money. 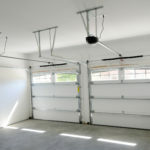 All of this means that more and more homeowners are planning to install a new Genie garage door opener to their garage. Through the history, we were able to see countless technology developments, cooperation and innovations all associated with Genie brand. We were able to see, back in 2011, an introduction of the TriloG garage door openers. They were equipped with heavy-duty electric motors, with a power of 1HP or 3/4HP, for a low-end model. These models were more than just popular back then and they were considered as state of the art units. In addition, they used the latest technology, they came with auto-seek feature and they were more than just reliable. In addition, these were some of the first, screw-drive garage door openers. In the same month, Genie revealed IntelliG line of garage door openers. It was reserved for those who wanted more, so they came with high-end electric motors and with the 9-inch per second opening time. Of course, they were affordable as well, which made them more than just desirable. 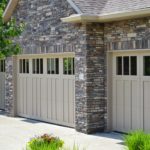 They used a new Intellicode technology which made them safer and more appealing for the homeowners who wanted an upgraded level of safety for their garage door. One of the significant improvements occurred in 2013 and it is associated with the Interstate Batteries. 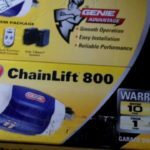 This was the first time Genie garage door openers were paired with backup batteries. They were able to provide 50 cycles within 24-hour time frame. The purpose of this technology was to allow for homeowners to use their garage door openers when there is a power outlet. This system made garage door openers more reliable and more useful at the same time. Also, in 2013, Genie launched a new line of garage door openers, called ReliaG. The first 2 models were 650 and 850. The first one was used for smaller garage doors with an overall weight of 350 pounds, while 850 version was used for heavier, up to 500 pounds doors. 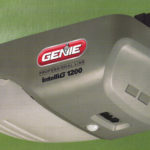 They were some of the most popular garage door openers Genie ever made. Both models were ceiling-based units, come with lighting and the latest safety features. Of course, there were differences in the drive system, so consumers were able to purchase a chain or a belt-drive models. In 2015, we were able to see one of the biggest improvements in Genie offer. In that year they offered the Aladdin Connect technology which revolutionized garage door openers and their usability. The technology uses Wi-Fi to make a garage door opener available to the homeowner at all times, regardless of the homeowner location. The system allows you to when the door is opened. Even when manually opened, a homeowner will be notified. Opening doors when you are not at home, you have a delivery coming is now possible as well. This is another, simple and practical advantage of the system in question. What’s more, this system comes with a complete data regarding the garage door, when they were opened, for how long and etc. Even today, this system is something that makes most Genie garage door openers special and different. It is truly a technology you will want to have in your garage door opener. Closed Confirm remote technology is appreciated as well. Basically, it allows for the homeowners to know are their garage door closed or not. When a door is closed, a remote controller will flash green light and notify you with a sound. In a case door closure was prevented, remote controller will flash red and also notify you with a sound, but a different one. This is simple, yet useful and highly desirable feature most Genie garage door openers have to offer. Genie Sense is something we should mention as well. It is used for configuring the garage door opener and making the installation and use much simpler. It is one of those features which make Genie garage door openers stand out from the crowd and simply extraordinary. GPower is one of elite series manufactured by Genie. This series of garage door openers is special, more powerful than all the others and developed for high-end users. In a nutshell, these models are extremely reliable, powerful enough to open and close all the doors and still look great. The electric motor built-in was a 1/2HP unit, for super-duty usages. Other things you should know about this unit is the fact it comes with the 120W light bulb and it is maintenance-free. This has been one of the most popular Genie models ever made. Genie was one of the first manufacturers to switch to the LED lighting. LEDs are known for a longer lifespan, they also use far less electricity and they provide bright white light. It isn’t strange why so many homeowners switched to LEDs as soon as garage door openers were designed to support them. There are a lot of additional benefits as well. All we can say is that LED feature is more than just appealing even today. Genie has a wide range of rage door openers to offer. The variety of models is something special. There are more affordable, mid-range and premium garage door openers, for those who want the most. Anyway, we will list some of the most desirable models at the moment. 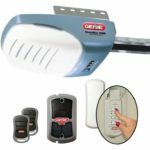 This is one of the best garage door openers Genie has to offer. It is packed with a screw-drive system and a 1HP electric motor. The power is immense, so is the speed of opening, which is 12 inches per second. The unit is equipped with the latest safety and security systems. It also supports Aladdin technology and many others. The limited lifetime warranty applies to the electric motor and the drive system. Here we have another garage door opener made by Genie which is more than just popular. It has a 1HP electric motor and also a screw-drive system. The warranty is limited, lifetime and it applies to the motor and drive system. In a nutshell, this is a similar version of the one we have just mentioned. Car2U and HomeLink systems are obviously supported. As the name suggests, this is a bit different garage door opener. First of all, it is more than just powerful, thanks to the 2HP electric motor. Then, it also features a screw-drive system which opens door at a speed of 12 inches per second. There is no maintenance and all, advanced technologies are supported. The best part is the fact it comes with included Aladdin system. If a quiet garage door opener is something you need, the SilentMax® 1200 is just right. It comes with a 3/4HP electric motor and a belt-drive system. Combined, this made the unit more than just appealing in many, different ways. The speed of door opening is 9 inch per second, which is standard for all garage door openers with a belt system. This is a chain-drive garage door opener which is more than just a great value for money. We also liked a new electric motor with a power of 3/4HP. In addition, the chain-drive system is new and redesigned as well. Other features are almost standard. You get Aladdin support HomeLink, Car2U and Intellicode systems. Nevertheless, this is a popular and a very common garage door opener. The last, but not least is the SilentMax® Connect garage door opener. It comes with 3/4HP electric motor, belt-drive system and with other features which are already mentioned. We liked the fact it offers pre-programmed remotes, Aladdin connect and Smart Set technology. It is known as one of the quietest garage door openers available at the moment. 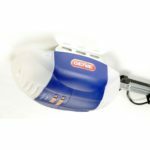 Genie garage door openers are special, or better said differently than other brands. They come with more, specialized features and technologies, which made them so interesting to the homeowners. When it comes to the quality, there are only good sides. The support is excellent and all models are manufactured in the United States, therefore each unit must pass a strict test before release. 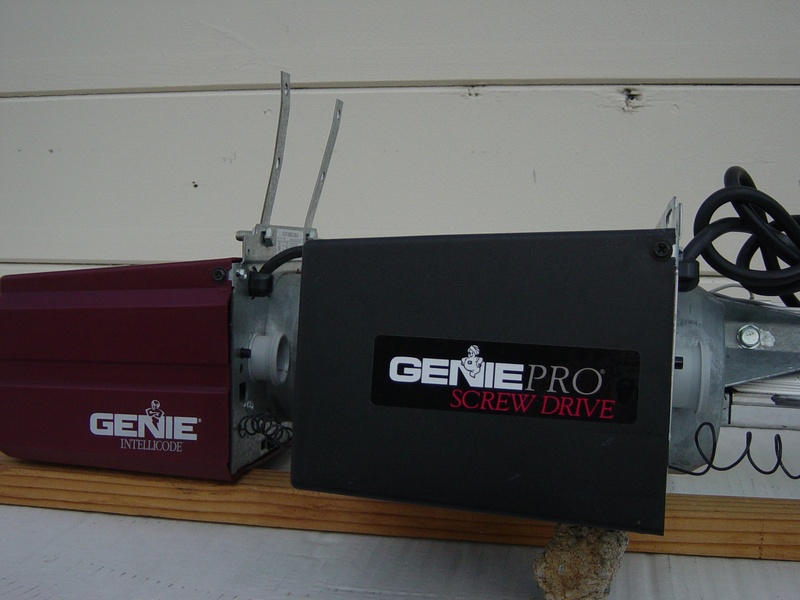 Chances are high that your new garage door opener will be made by Genie.